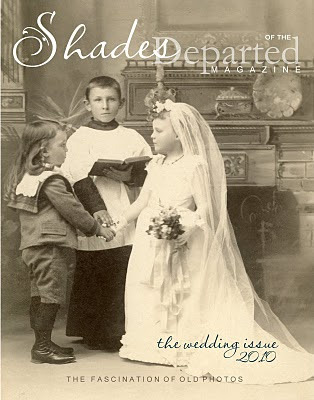 Shades The Magazine's entry into the Digital Magazine Awards has been accepted. Below is a description of the awards, our category, and the judging panel. As you know, if you spend much time on the net, all the big boys have a digital version of their magazine. The competition is stiff. So we have crossed everything including our eyes. Please wish us luck! We do it for the love of it! The Digital Magazine Awards are the awards rewarding outstanding achievement in the Digital Magazine Industry. The burgeoning Digital Magazine Industry is a fast growing, quickly evolving industry. 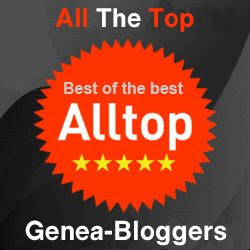 A leading publishing site since launching, in 2007, has achieved “more than 50 million monthly users and more than 50,000 documents uploaded daily” another hosts “over 50,000 magazines and books”. The Digital Magazine Industry has exploded onto the scene. The entry into the market of the Ebook (with one App, from a leading publisher, containing 2400 magazine titles) combined with other influential publishing sites holding significant market share and the broadening of the market into mobile and cell phones confirm the Digital Magazine Industry, in a very short period, has become a massively influential and significant market. The Digital Magazine Awards will for the first time recognise outstanding achievement in the Digital Magazine Industry with 20 awards across sectors ranging from best magazines in fashion, news and sport to individual awards for editor, designer and photographer of the year. The DMAs will showcase top class performance and innovation, reward achievement and continue to raise the bar on industry standards. 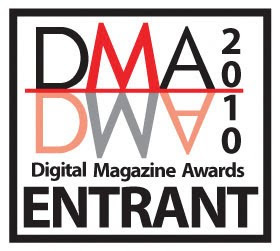 The DMAs are THE award to win in the Digital Magazine Industry. Members of the judging panel can be found here. This Award is for the outstanding magazine in the Specialist & Hobby sector. The magazine will fore mostly contain brilliant editorial content and design, combined with an innate understanding of its target readership. The outstanding magazine will have significant market share as well as a solid readership base for its sector. Overall the magazine that wins will have impacted on its sector and have an influence others are taking their lead from. The judging panel will be influenced by how the magazine is embracing innovation, is delivering content that is impacting on its own and other sectors. Wow, very cool and I'm keeping my fingers crossed for you! I'm crossing everything I have too. Even my "t's". :) Seriously, I wish you tons and tons of luck! Wishes & Blessings goin' out! Yes, the best of luck for you!